Some of the best ways of offering comfort do not involve speaking at all. A touch on the arm or a hug at the right moment can communicate volumes. As mentioned above, all you may really need to do is to listen. Sharing the family’s grief by crying with them can build the kind of bonds that last a lifetime. 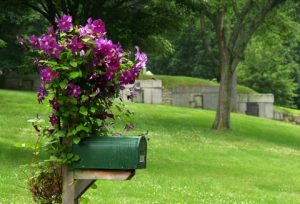 Attending the funeral or memorial service just as you would for an adult acknowledges the significance of the family’s loss, as does sending a sympathy card or writing a note or poem expressing your personal feelings. Bringing in a meal, helping with the cleaning or laundry, or driving the children to school are more tangible ways of providing support. If appropriate, you could babysit for the other children and give the parents a chance to get out alone together. All of these things will be appreciated on the anniversary of the due date, birth date or death date just as much if not more than immediately after the baby’s death. You can be assured that the grieving family will never forget, and if you love them, you cannot afford to forget either. Remember, your attempts to help will meet with the most success if you avoid making judgments and remain tolerant of all behavior (except that which is self-destructive or suicidal) no matter how strange it may seem to you.